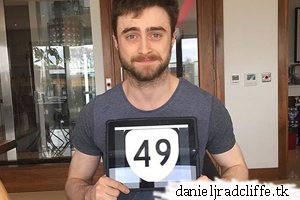 Daniel has sent in a photo to show his support for the United49 fundraising campaign, the photo is originally posted on Instagram by David Holmes, Daniel's stunt double on Harry Potter. The team behind United49 is raising money (the goal is £40,000) for the recovery of stuntwoman Olivia Jackson who was severely injured in an accident on set of Resident Evil: The Final Chapter. 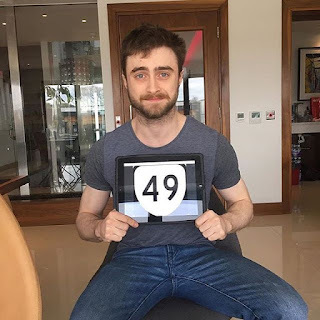 Celebrities have been sending in photos featuring the number 49, Olivia's motorcycle number, to show their support. For more info read their GoFundMe page: gofundme.com/UNITED49.